Here is my thoughts on the Too Faced Naked Eye Palette, as well as my swatches. I think this palette is a lovely collection of colors. 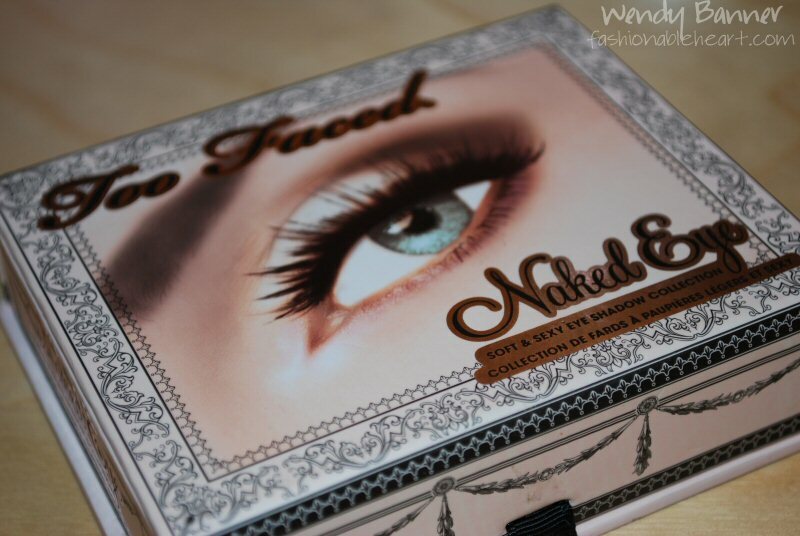 I find it funny that I now own two "Naked" palettes (this one and Urban Decay)! ^ As with all of the Too Faced palettes, there are three cards telling you how to achieve three different looks using each row of colors. So there is a Day, Classic, and Fashion look. I think that it is a cute idea, but I rarely look at them. I also find the cards very hard to take out and put back in. The bottom pulls out to show a brush/sponge duo. 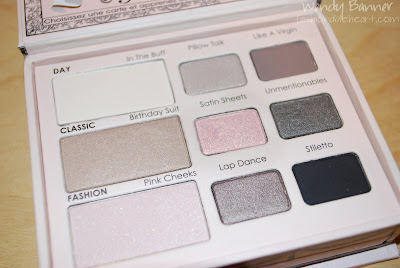 ^ In The Buff, Pillow Talk, Like A Virgin - In The Buff is a great inner corner highlight! It's the standout shade from this row, in my opinion. ^ Birthday Suit, Satin Sheets, Unmentionables - Unmentionables is very pretty in real life and I don't think the camera captures it fully. ^ Pink Cheeks, Lap Dance, Stiletto - Pink Cheeks is a nice brow highlight. Lap Dance is gorgeous. I'm really happy that they added a matte black to this palette! My favorite colors would have to be In The Buff, Unmentionables, and Lap Dance. Like A Virgin has a bit of fallout, but nothing major. None of these are super glittery or a shade that I wouldn't use. I think a lot of different looks can be created with this palette for day and night thanks to the matte black shade! 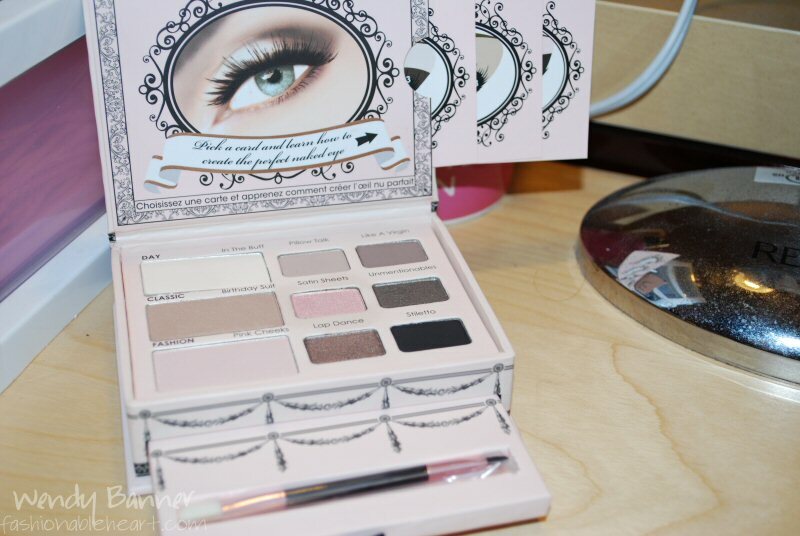 This looks great, after getting the natural eye palette and I definitely say that too faced palettes are quite good quality and the colours are very wearable. @Christine- It's worth the money! @Justine- Agreed! Can't wait to see what other palettes they come out with! @Ashley- Took me a while to get around to trying the brand (aside from the eyeshadow primer), but now I'm hooked! @Antonia- Really?! You'll have to let me know how they compare!